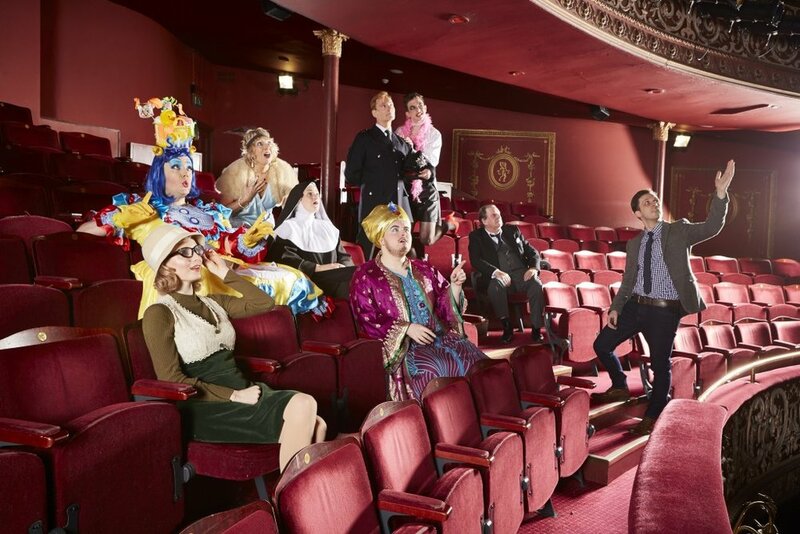 I've always loved the theatre, so I was very excited when an opportunity came up to shoot a series of images for the Wolverhampton Grand and working with the fabulously creative people in their marketing team and their performers. 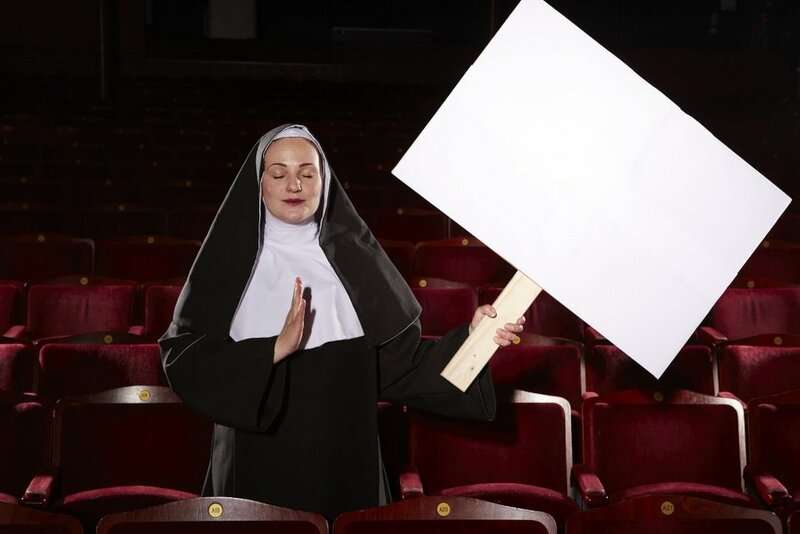 The shoot was all about selling the theatre rather than a specific show and the wide variety of entertainment and performances they produce, so no one genre could dominate the images. 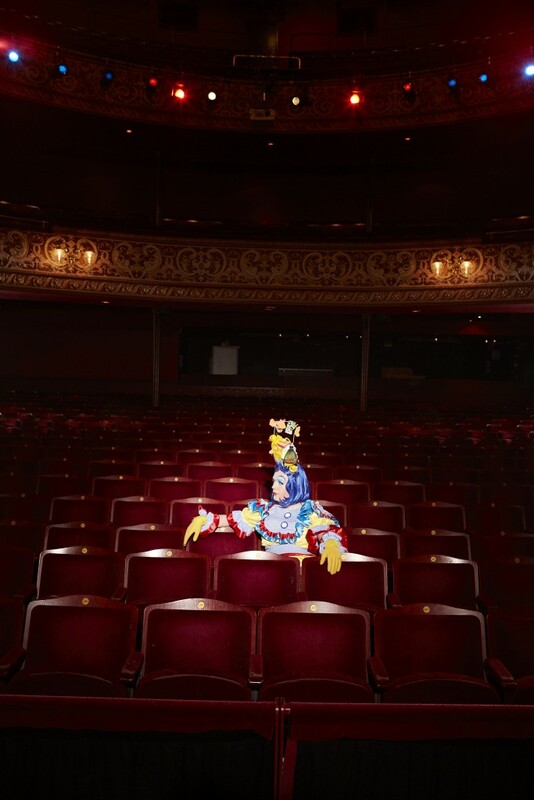 Working with their marketing team and their agency we'd recce'd and planned a series of images using characters from many of the genres they perform at the theatre. As with all shoots where you have lots of elements coming together the whole team had to pull together to create the scenes we had planned and my two assistants Ben and Jack did a fabulous job of getting everyone and everything in the right place and on time. As you can imagine there was never a dull moment working with the kind of excellent actors and performers that were there with us. 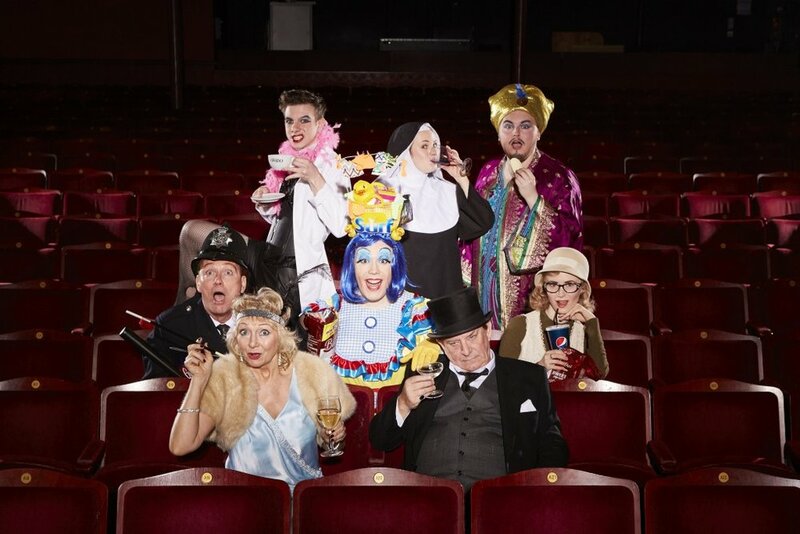 Trying to keep the mood high and buzzing isn't that difficult when you have a pantomime dame, a genie and Dr Frank-N-Furter all vying for the best spot! Maybe I should hire them on some of our industrial shoots! We used the fabulous Profoto B1 lights and the D1 1000 Watt lights to help us with the look and feel. The ease of use of the wireless B1's enabling us to take them anywhere within the theatre that we were shooting without having too worry about power or wires becoming tangled, and when we needed more power the D1's worked perfectly. Again thanks to Jack and Ben for lugging all the gear around, up and down stairs and all over the auditorium, I'm glad their both young and fit! Agency: BHD Creative Styling: Wolverhampton Theatre Hair and Make up: Actors and performers own. I'm not sure what was said or who did what!